Lee Dong Wook met up with his fans at Marina Bay Sands- Mastercard Theatre. He greeted the fans who are present at the fanmeeting and say that it has been a long time since his last visit to Singapore. The last visit was 6 years ago when he came with the production team of ‘Scent of a Woman’, he apologized for not being here earlier. He thank the fans for the warm welcome. ‘For My Dear‘ fanmeeting stands for each and every fans he love and he want to share everything. For his fanmeeting, he has shared a lot of photos and also scenes from his past dramas. He shared with fans about how he get into the different emotions for different types of scenes. He also stated that ‘Scent of a Women’ drama was a very important drama to him as it was his first drama he filmed after the army. When he was in the army, he had a hard time and was worried if his fans will remember him and all after 2 years, will he be able to get back on stage. 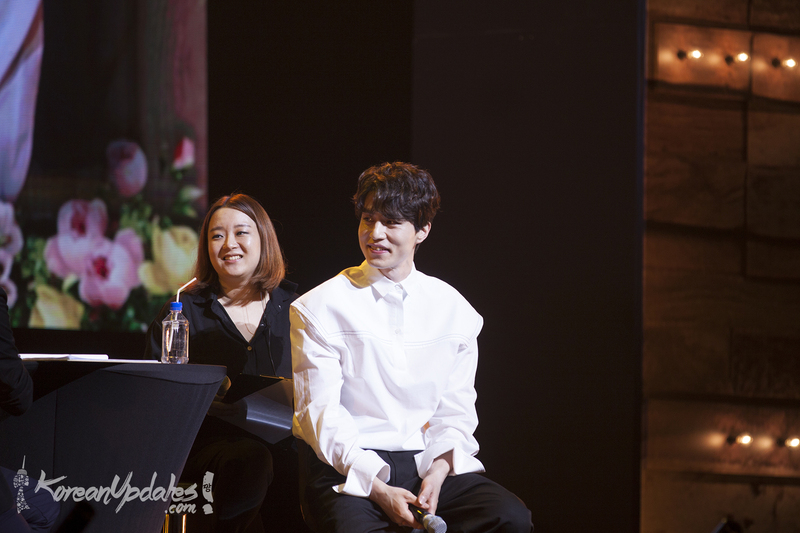 The fanmeeting was full of smiles and laughters, fans were called on stage to intereact and take photos with him. He is so caring and thoughtful that he took a walk down the aisles of the theatre to get closer to all fans who came. He ended the fanmeeting with a song title ‘My Time Towards You’, it was a song he sang from his previous drama ‘Bubblegum’. Fans shouted ‘TT’ during the end of the show and he gave a brief performance of girl group TWICE’s hit song ‘TT’. He complained that he is too old to dance. Ending up he promised to return with a new project by end of this year. Let’s hope that his return will be soon and also looking forward to his next drama/movie. Thank you iMe for the invititation to this wonderful event. Written by KoreanUpdates Representative in Singapore, Tan Yi Jun.